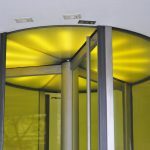 Revolving Doors Repair & Install are surprisingly intricate and require a high level of maintenance and care. 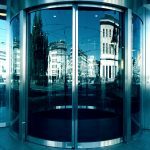 You do not want to skimp on upkeep because if your revolving door stops working all of a sudden, you will lose out on customers, clients, or patients coming into your business. If you need immediate work done on your revolving door, or you wish to receive a 100% free estimate appointment, please call Highgate Doors at (212) 860-5477. The knowledgeable and personable revolving door experts at Highgate Doors are standing by . Plus, if there is an emergency, Highgate Doors is available 24/7 to assist you in any revolving door repair emergency. How to repair and/or install a revolving door. 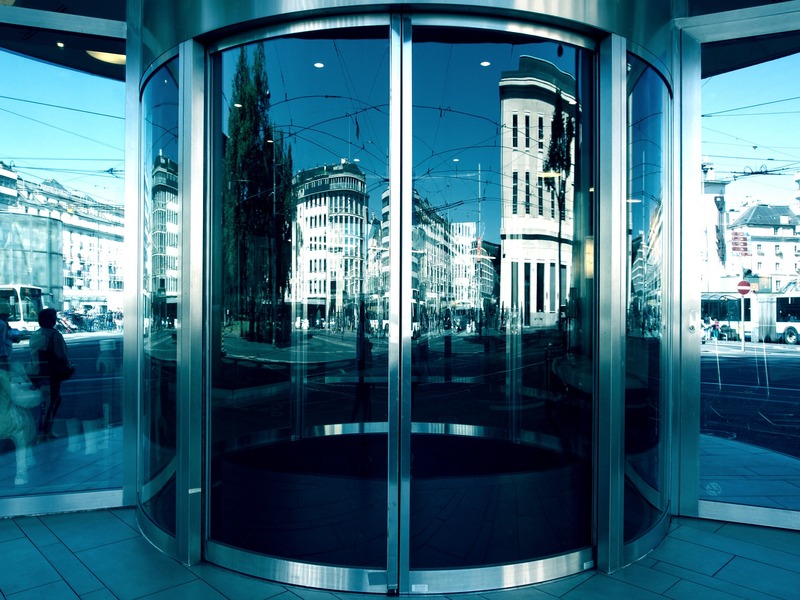 When it comes to revolving doors, your best bet is to hire an expert. 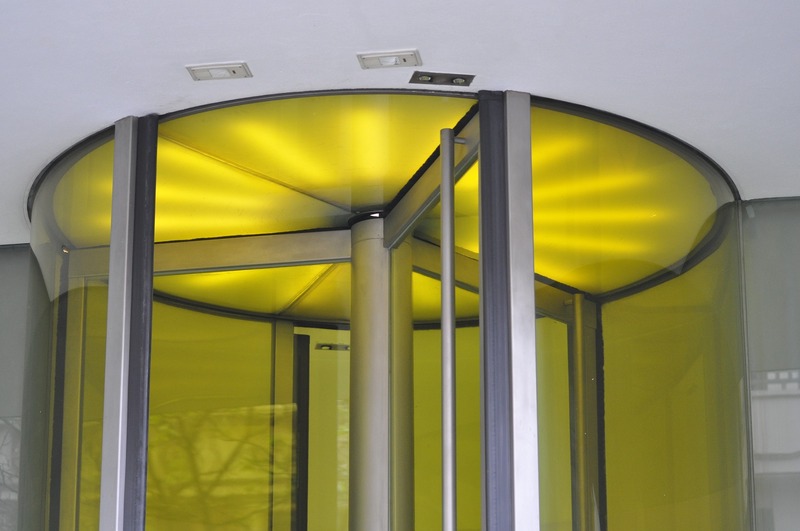 The most common injury related to revolving doors is lack of proper professional maintenance. When it comes to repairing and installing revolving doors in the New York Metro area, Highgate Doors is your best choice. Even though we have been around for over 12 years and have some of the best revolving door repair experts in the area, our prices are surprisingly reasonable. If you would like to know how much your next revolving door repair or installation will be, call (212) 860-5477 to set up a cost estimation appointment today. Plus, mention the code “WEBOFFER” (limited time only) for 15% off of your order with us! With any type of automatic equipment, there is a risk of injury. However, manufacturers use multiple sensory systems to ensure the users of the door are safe. The most common type of injury according to Michael Panish, an automatic door expert plaintiff, is neglect of properly installing or repairing a revolving door. In other words, revolving doors are only as dangerous as their owners allow them to be. Make sure your doors are installed and repaired correctly by calling Highgate Doors at (212) 860-5477. 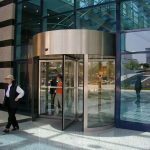 What are some advantages and disadvantages of using revolving doors? 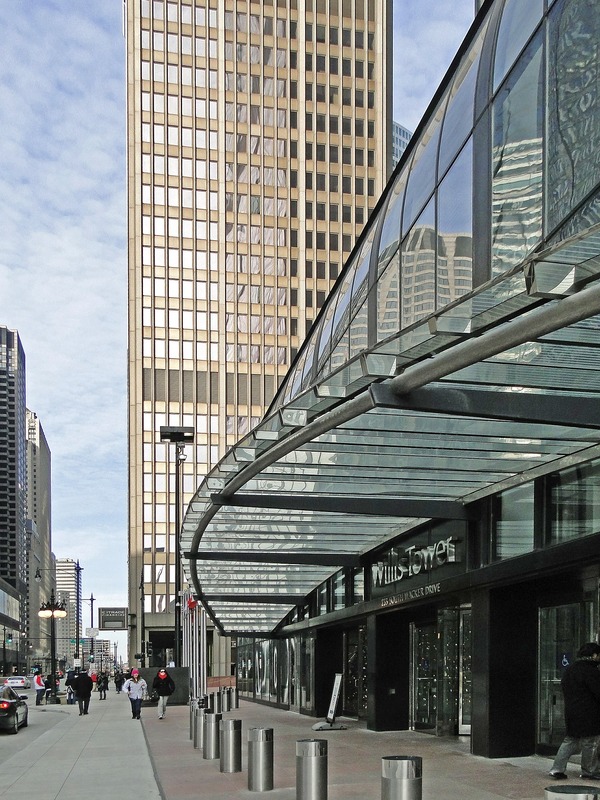 Revolving doors give a building an upscale, chic look. Anyone who wants to appear professional and modern would benefit from installing a revolving door in their building. Revolving doors can also be installed so traffic can only go one way. A common use of this is at airports where they do not want people to pass security without first stopping by a certain checkpoint. Another great benefit of revolving doors is keeping your building’s heating and cooling levels steady. When used as an entrance or exit, it helps keep the elements from outside coming inside, and thus it helps you save on your utilities. 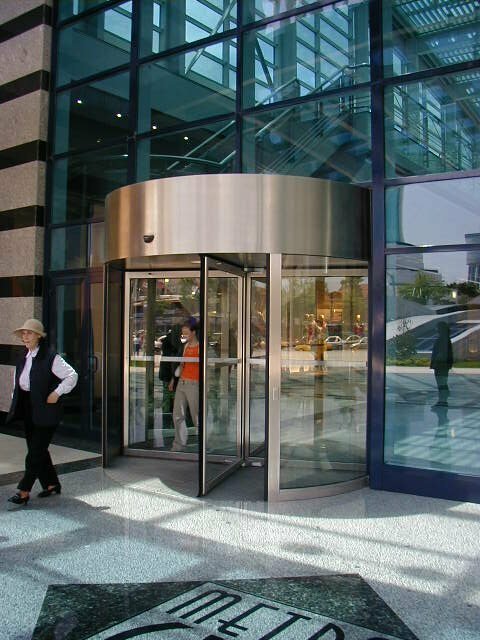 Revolving doors make a great statement piece on any building. If you are interested in saving on utilities or making a statement call Highgate Doors at (212) 860-5477. Our Revolving door experts will give you a 100% free estimate appointment on your revolving door project in the New York Metro Area. For a limited time, we are offering 15% off on your project if you mention our “web deal.” We love our customers, and our customers love us. You can look for yourself right here on Google (http://bit.ly/1ScmXeb) ! However, revolving doors are not always ideal. If your customers, clients, or patients are elderly and commonly use motorized carts, revolving doors are not ideal. This is because it is difficult to maneuver around the partitions. Another downside of using revolving doors is that they are not as secure as other kinds of doors. If you need a top-of-the-line secure door, it would benefit you to use another kind of door. Highgate Doors will help you figure out what door would be best for you if you call us at (212) 860-5477 today. Who can I trust to install my buildings revolving doors correctly in the New York Metro Area? There are many options when it comes to installing a revolving door in your building. However, Highgate Doors is a very trustworthy choice, and you will be glad you called after your Revolving Doors Repair & Install. Why else should you hire Highgate doors for your revolving door repair/ installation needs? 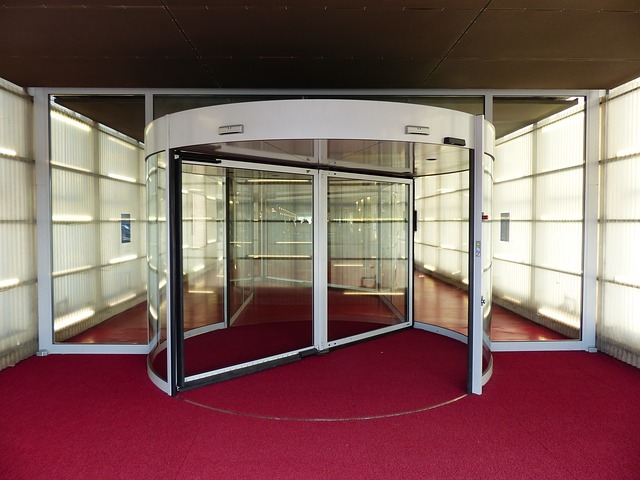 Our experts are highly trained when it comes to working on revolving doors. We use state-of-the-art equipment that is always kept in tip-top shape. 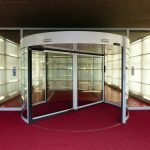 You do not want someone working on a delicate and complicated project such as a revolving door without it! We are licensed an insured. Many service providers are NOT licensed and insured, which means you have to worry about the liability! Play it safe and choose Highgate Doors. We are BBB (Better Business Bureau) accredited. That means you are working with some of the best in the business! No job too big or too small! Call (212) 860-5477 to discuss what kind of revolving door, or any other kind of door repair/install work you need done! Emergency? We are available 24/7 in the event of a revolving door emergency! 90 day warranty on any revolving door work done. Serving the New York Metro Area for over 12 years. We plan to be your neighbors and friends for many more years! Revolving Doors Repair & Install Don’t hesitate, call (212) 860-5477 today to get started! Thank you for checking us out, and remember, Highgate Doors also works on virtually any other kind of door, including custom doors, in the New York Metro Area.